Are you looking for the best stump removal service in Wichita, Kansas? Look no further than Wichita Tree, of course! 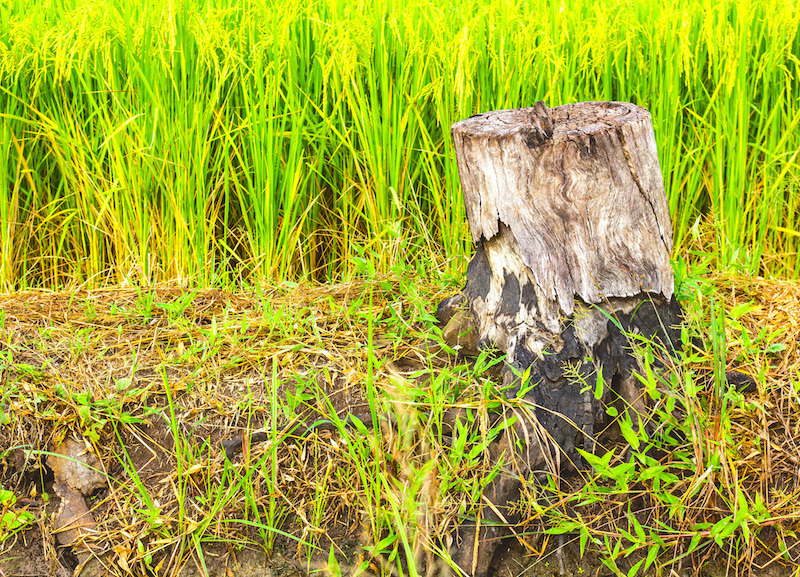 We can remove aggravating stumps from your property simply and safely! Call Wichita Tree today and make an appointment for a free evaluation with our professional staff! Our customers have options when it comes to stump removal services, so we want to make sure you have all the information you need to make the best choice for you! Removing the stump – grinding it down – is only the first step. After that, you have a big decision to make! If you wish, we can haul away the grindings for you, hassle free. You could also choose to keep the grindings in order to backfill the hole left by the stump, or, still another choice is to allow Wichita Tree to make mulch out of the stump grindings for you to use in flower beds, pathways, or anywhere else you like around the house! Want another choice? You got it! We can also backfill the stump hole with dirt so that it blends in naturally with the rest of your lawn. ​Wichita Tree provides complete stump removal services for all of the Wichita, KS metro area. This not only includes the stump, but the above-ground roots as well, which can be detrimental to a smooth, closely mowed lawn that’s easy and safe to walk around. In addition to removing above-ground roots, Wichita Tree offers underground root removal service that just may save your plumbing one day! Roots love moisture, and they can destroy underground pipes before you know there’s a problem. Don’t let this happen to you! As always, Wichita Tree recommends environmentally-friendly options for root removal, but at our customers’ requests, we can also provide chemical solutions, too. Both “green” and “not-so-green” routes are used in conjunction with stump removal to kill left-over roots so they can’t damage your yard and property in the future. Call Wichita Tree’s stump removal specialists for a free quote today!